I have watched this movie twice so far. The second time was just as good as the first. 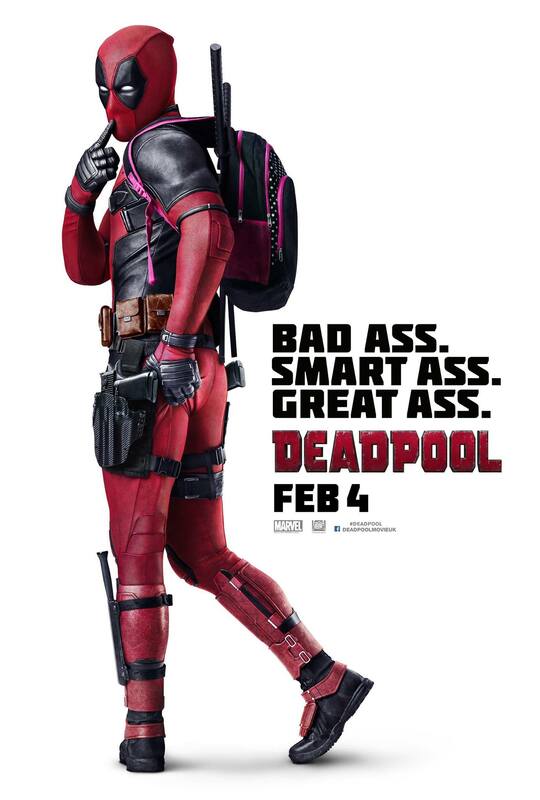 Deadpool manages to make me laugh hysterically and cringe inwardly mere seconds apart. They went all out on that R-rating. The story is told by Wade Wilson/Ryan Reynolds/Deadpool while jumping around through time and space and personalities, simultaneously killing some bad guys and making an innumerable amount of dirty jokes. The first time I watched Deadpool, I laughed so hard that I was unable to catch all the jokes – I couldn’t breathe enough to concentrate on or even hear what was going on on screen. Luckily, this is a movie that you can watch more than once! Having my friend S. beside me cracking up at the smallest of gestures (Deadpool playing with the window in the taxi…) made me enjoy myself even more. Go and watch Deadpool with a friend who shares your sense of humour – it makes the experience that much funnier.